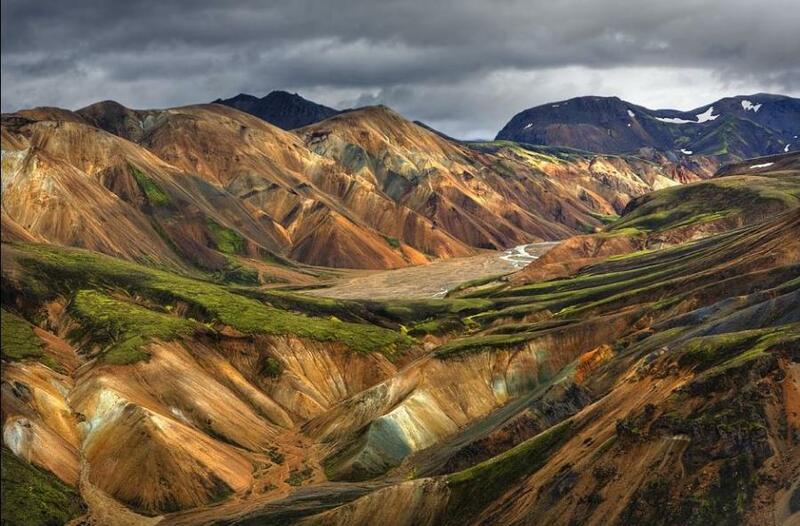 Landmannalaugar is a place in the Fjallabak Nature Reserve in the Highlands of Iceland. It is at the edge of Laugahraun lava field, which was formed in an eruption around the year 1477. 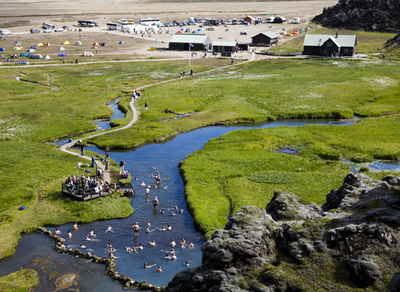 It is known for its natural geothermal hot springs and surrounding landscape. 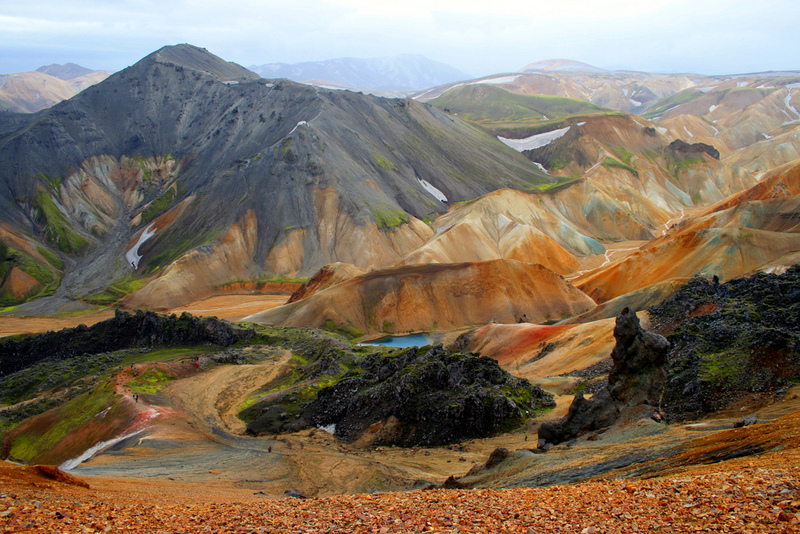 ​Landmannalaugar is the northern end of the Laugarvegur hiking trail.